Here is a sure-fire, three step solution to simplify your busy, complicated life. Ready. Ok. Believe me you will be amazed! Step 3: Walk humbly with your God. That’s it! I told you it was pretty simple. Everything that God requires of us, He has laid out in Scripture. So you know what this means? Everything else that we find ourselves preoccupied with, though sometimes good, in the grand scheme of things matters very little. I will be back over the next few days to unpack what these steps mean. In the meantime, sleep well tonight knowing that all God really asks of you is to love Him and love others wholeheartily. Make sure to subscribe to my blog to find out more about these three very easy steps. 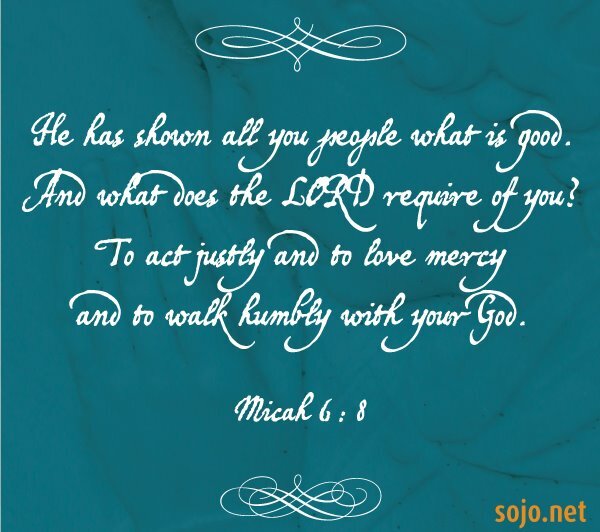 Oh, and read Micah 6.8.